Leave your Chianti to breathe before drinking it. 4 Can You Use Pinot Gris for Cooking? 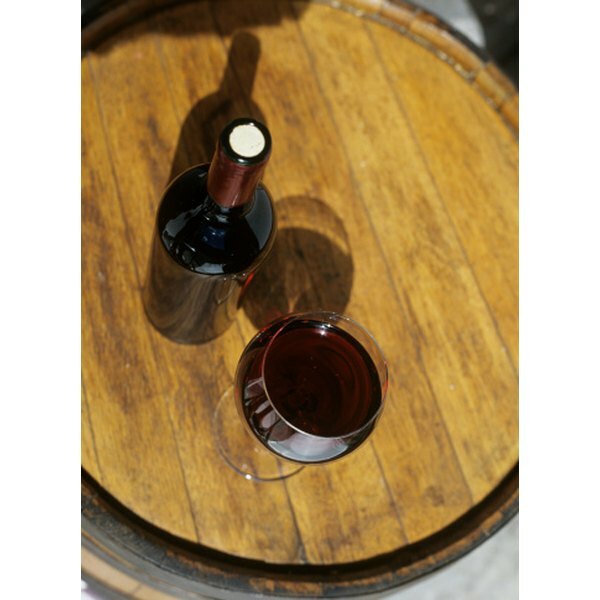 Getting to know one type of wine intimately is the first step on the road to becoming a wine connoisseur. The dry, bold, spicy flavor of quality Chianti has been enjoyed by wine lovers for centuries, and there really is no wrong way to enjoy it. But there are ways to maximize your enjoyment and appreciation of Chianti's full-bodied flavor. Practice tasting and pairing many different Chiantis to get to know this delicious Italian wine a little more intimately. Consider saving quality bottles of Chianti, such as Chianti Classico or Chianti Ruffina). As Chianti ages, it develops more complexity and tertiary flavors that won't be there now. To experience these, store the wine in a cool, dark cellar. Drink them one or up to eight years later. If you know that you have an exceptional vintage in hand, consider aging it 10 or more years to taste it at its potential. Pour the Chianti into a red wine glass, or a Chianti glass if you have it. Hold the wine glass at the top of the stem. Pour from a height of 6 to 10 inches to properly aerate the wine and release its nose. Fill each glass between one third and half full. Allow the wine to breathe for two hours. If you are not yet ready for glasses, pour the wine into a decanter, let it breathe there and then pour it into the glasses. Hold the glass up to eye level and swirl it around slightly. Observe the wine - quality Chianti will be a deep ruby red with purple hues. It will be bright, shimmering and transparent. Place your nose just above the rim of the glass and inhale deeply while swirling the wine gently. Try to discern the smells you pick up. Chianti typically smells of flowers and cherries, sometimes of black tea and even leather. You will often pick up a different aroma on each inhale. Take a sip, and experience the different flavors and spices. Cherry may be the most prominent, but there will be notes of earthy, anise and other flavors. Pair Chianti with food, once you get familiar with its taste. Let your nose and palate guide you. Chianti pairs well with dished such as ham, beef, chicken, and assorted cheeses. Try pairing it with foods that aren't so spicy so not to compete with the complexity of the wine. Some like Chianti with pasta, pizza or other dishes with tomato sauce. Others may find the acid in the sauce and the acid in the Chianti clash. Consider pairing the Tuscan wine with other dishes from the Tuscan region. Drink Chianti at room temperature. Only Chianti 1999 and 2001 were very good years for Tuscan Chianti. Only bottles labeled Chianti Classico or Chianti Ruffina are true Chiantis (from the Tuscany region). What Kind of Seasoning Do You Put in White Bean Soup? What Causes Raw Steaks to Lose Red Color?